FM calls on PNTL to detain suspect who shot dead Alves in Hera Radio Televizaun de Timor-Leste July 23, 2012, - Fundasaun Mahein (FM) has called on the Timorese National Police (PNTL) to detain the perpetrator who shot dead Armindo Pereira Alves in Hera. FM also called on the political parties' leaders to educate their followers to maintain peace and stability. The Director of FM, Nelson Belo, said the PNTL Command should publicise the legal process for the police officer who had killed Mr Alves. "People need to better understand information about the legal process for the suspect, therefore we are calling on PNTL Command to update information publicly through the media outlets," Belo said. Coordinator for FM, researchers said PNTL need to understand the security law before responding to any problems in the field. 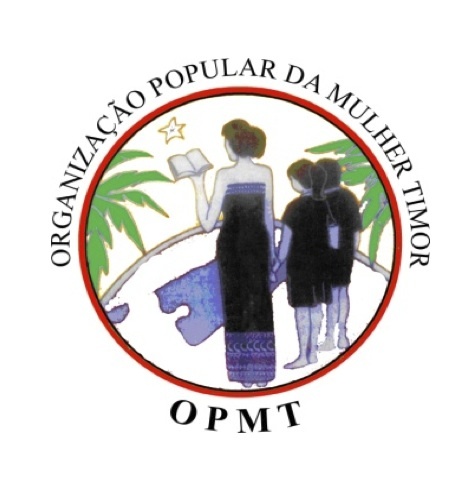 OPMT expresses concerns over CNRT members' criticismof FRETILIN Radio Timor-Leste, July 23, 2012 - OPMT [Resistance Organisation of Timorese women] has expressed its concerns over the criticism and insults made by Xanana Gusmao's CNRT members against Fretilin during the party's recent conference. Secretary-General of OPMT Merita Alves made the comments during a press conference which was held last Friday at the Fretilin's headquarters, in Dili. Ms. Alves questioned the political maturity and responsibility of CNRT's members and demanded an apology be made publicly. "We the women of Fretilin, orphans and war widows who are under the auspices of OPMT expresse our sadness and concerns over provocations made by the CNRT members in the conference," she said. She called on CNRT party members and leaders to become a mirror for all the people and provide a good example in the democratic country and not promote instability. 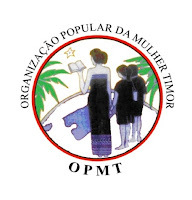 OPMT calls for PNTL's responsibility for its officers' brutality Radio Timor-Leste, July 23, 2012 language - OPMT [Resistance Organisation of Timorese women] has called on the National Police (PNTL) to be responsible for its members' brutality during the recent violence in the Capital of Dili. According to OPMT, the National Police members' brutality has left a young man who was also Fretilin Party's follower killed during the violence. In relation to the case, OPMT Secretary-General Merita Alves called on PNTL Commander Longuinhos Monteiro not to implement aggressive and militaristic mentality within the country's police force. She called on the country's state bodies to uphold justice which was fair and independent based on the existing law in the country. We will not apologise, says Gusmao Independente July 23, 2012- CNRT president Xanana Gusmao said his party would not apologise for his members' verbal attacks on Fretilin which prompted last week's violence in Dili and Viqueque District. He acknowledged some of his members defamed Fretilin in the CNRT conference last Sunday and that he failed to stop them. But the critical comments should not have been answered by violence. Fretilin members had also made verbal attacks on CNRT during the parliamentary campaign, he said. "We cannot say Fretilin's criticisms of CNRT during the campaign do not matter but the words said in conference do," Mr Gusmao said. During the campaign, Fretrilin leaders had claimed some formers pro-Indonesian figures were hiding behind CNRT independence heroes in an attempt to gain positions, he said. PNTL promotion socialised Independente July 23, 2012 - The Commissioner of the Timorese National Police (PNTL) promotion, Isabel Fereira, said the commission was currently providing information to the police officers to register their names for promotion. Fereira added the process of promotion would be realised after the establishment of the new Constitutional Government in August this year. "The commission is still in technical preparations therefore, the commission has not yet been announced," she said. She said the extra-ordinary promotion would begin from sergeant to inspector, adding that the promotions would happen because some of the PNTL members were unhappy with the last promotion. SES should revise the organic law of PNTL Independente July 23, 2012 - Fundasaun Mahein (FM) has called on the Government through the State Secretariat of Security (SES) to revise the organic law on the Timorese National Police (PNTL) regarding conflict intervention in the field. Director for Fundasaun Mahein Nelson Belo said the PNTL members had skills training from Portugal National Police (GNR), but should identify whether use of force was allowed or not. "PNTL and GNR were not guilty in relation to the incident at Hera, our government has made mistakes because they have not revised the organic law for PNTL itself," Belo said. Situation in Timor Leste to prove end of UNMIT mission Diario, July 23 2012 - The security situation in the country has returned to normal and it is proof of peace and stability, therefore, the United Nations Integrated Mission in Timor-Leste (UNMIT) should end in December this year. Prime Minister Xanana Gusmao said the UNMIT Mission could end in December because the Timorese National Police were prepared to guarantee the security in the country. "I may say that they are able to carry out their responsibility. I believe that PNTL can guarantee the security and UNMIT may leave the country," he said. Mr. Gusmao added he would inform the secretary-general of the UN in August, as he would visit Timor Leste saying the country could now stand on its own feet. PNTL does not step backward when facing the violence Diario, July 23 2012 - Dili District Police Commander, Pedro Belo, said that Timorese National police would not step backward when facing violence to guarantee the security. "We are strong and have the courage to face any situation and we will not step backward when facing problems, we will defend the innocent people and the country," he said. Mr. Belo added that they would not let anyone create instability in the country, especially in the capital of Dili. Fretilin tries to approach Gusmao Timor Post, July 23, 2012 - Fretilin party is currently discussing how it can approach the President of CNRT Party, Xanana Gusmao, to explain about the Fretilin's decision to sit as an opposition in the National Parliament. During the discussion, the Fretilin Party decided to present a proposal to the new government which will be set up by CNRT, PD and Frenti Mudanca. Speaking to journalists, President of Fretilin, Framcisco "Lu-Olo" Guterres said his party would sit as opposition, but they had not yet made a decision about it, but have only made a proposal to be presented to Xanana Gusmao. "We only set up a team to approach President of CNRT Party, Xanana Gusmao to present the proposal," he said. Gusmao to exclude some ministers in his new cabinet Timor Post, July 23, 2012 - Prime Minister Xanana Gusmao has decided to exclude some of the ministers in the current Government from his new cabinet. According to the information, Gusmao wants to exclude these ministers as they had not been working properly. In the new government, Gusmao will continue with his current post as the country's prime minister and will give some ministerial positions to the Democratic Party (PD) and Frenti Mudanca. New Zealand Police officers help train Timor-Leste's police officers Timor Post, July 23, 2012 - Two New Zealand Police officers have been training the Timorese National Police (PNTL) officers for two weeks in Baucau district on how to resolve problems within the communities. "The Government has made an agreement with the Government of New Zealand about developing community policing in the country. The New Zealand police officers do not represent UN, but it is a bilateral cooperation," Baucau Police Commander, Faustinho da Costa said. Commander da Costa said the training was focusing on how to identify the problems within the communities and how to resolve them.